OCS, developed in Sweden by Leissner, is a standardized Online Charging System. The system enables operators to offer – through real-time charging, innovative solutions in the prepaid and roaming area. Leissner OCS has control over real-time balances/packages and reduces the risk of overconsumption for subscribers. Leissner OCS is a core system for real-time online charging of data, voice and messaging services. Each service can be charged according to a price plan or consumed per unit from a volume. Subscribers, price plans and buckets are provisioned through a web service. Leissner OCS is an essential component for a mobile operator or an MVNO in order to provide mobile services with real-time billing. The online functionality improves fraud prevention and complements the service provider’s legacy systems for fraud control. 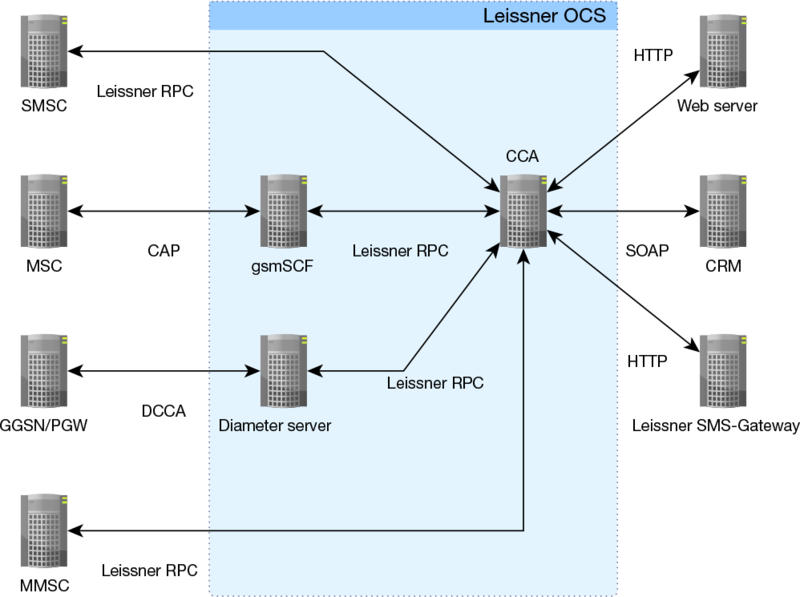 Leissner OCS has carrier grade redundancy and is designed to be installed on virtual servers with Linux operating system. OSC is a part of a complete suite of mobile core components in Leissner MVNE/MVNO Mobile Core. This suite of flexible functionality empowers MVNO and MVNEs to stay ahead of competition and gives low TCO (Total Cost of Ownership). Leissner OCS is flexible and can be customized for different telecom operators’ needs including niche segments and selected use cases such as roaming data or voice control. The OCS system consists of three Leissner nodes: CCA, gsmSCF and Diameter Server. Roaming credit limit to avoid bill shock. Price plans can be configured per MSISDN. Configurable triggers of low volume notifications through a web service or Leissner SMS-Gateway. Leissner gsmSCF handles the communication with the MSC for the services originating voice, terminating voice and originating SMS. Supports CAPv1 and CAPv2 for MO-Voice and MT-Voice. Multiple CCAs can be used with different service keys. Leissner Diameter Server handles the communication with the PGW/GGSN for the data service.